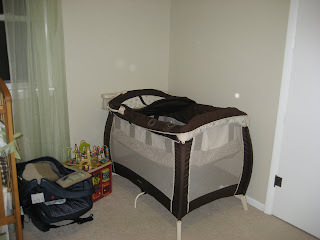 in this pic you can see the rocker, the bookshelf and the crib (which david was finally able to find time to set up yesterday. woohoo!!) i think the bedding looks very adorable. dave says our baby is already spoiled beyond belief...i think he's right. 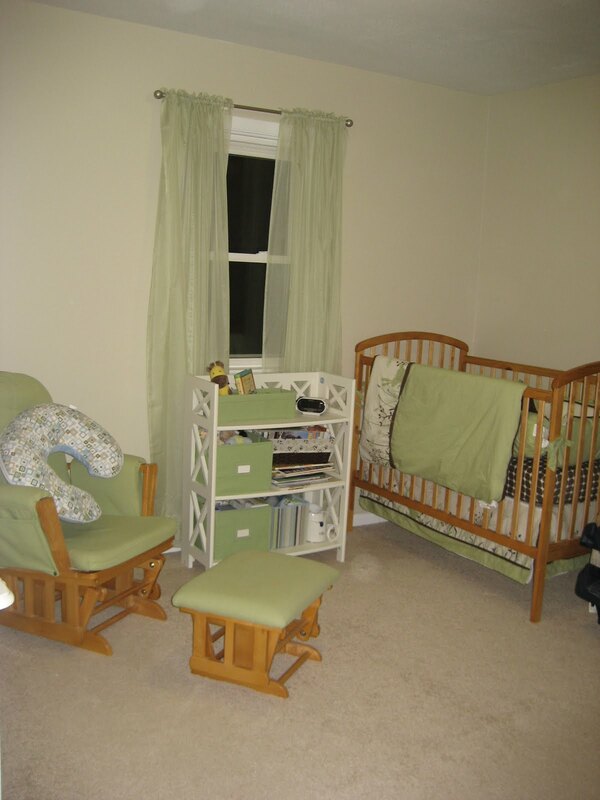 in this corner we have the pack n play. 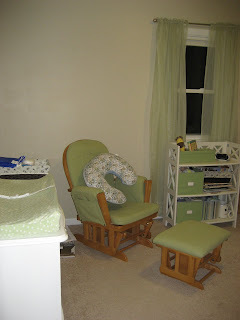 once we move the birth tub out of the front room, we will probably put the pack n play in there, next to our bedroom door. the baby may sleep in there at night, or they may sleep in the crib. i really haven't decided. and there you can also see the carseat which will be in our car soon. 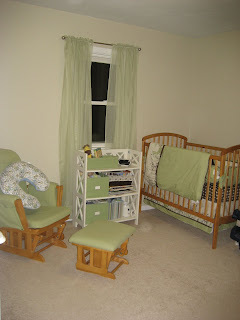 so once that stuff is moved out, i may push the crib over in front of the window. although that may be an issue when the baby is old enough to grab the curtains. oh well, then we could figure something else out. :) i love moving furniture. looks adorable! Love the green and white...I just love green! Hope you're feeling good and ready for this baby to come soon!! !